Designed to perform in situations where there is reduced resistance to heavy earth loads or unstable ground. 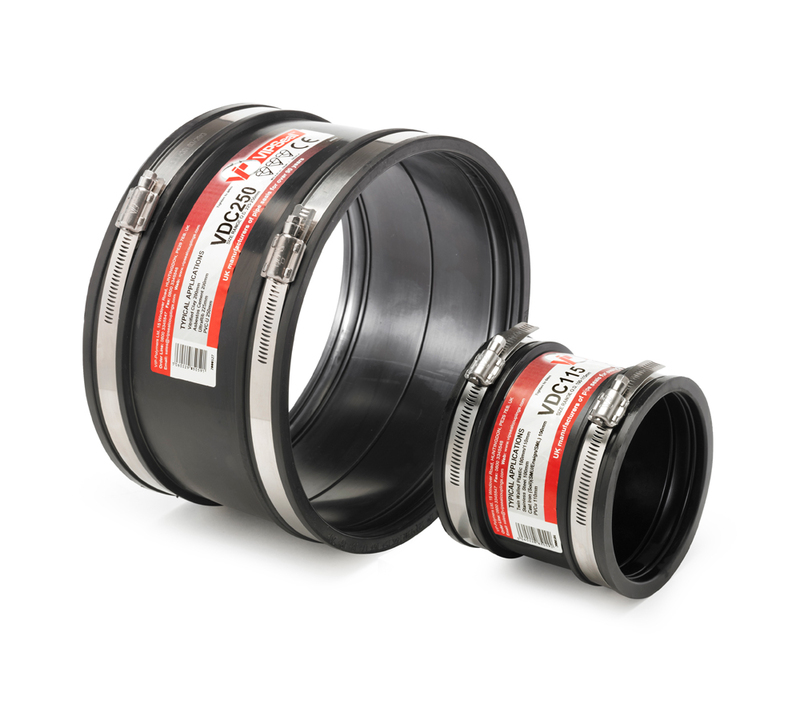 VIPSeal® drain couplings are made from the same elastomeric rubber sleeve as the standard coupling but come without the stainless steel shear band. They can join pipes in any material up to 275mm outside diameter. Our simple, step by step walkthrough will show you exactly how to install the drain couplings from beginning to end. View all sizing options for VIPSeals® drain couplings in our information table.